1. 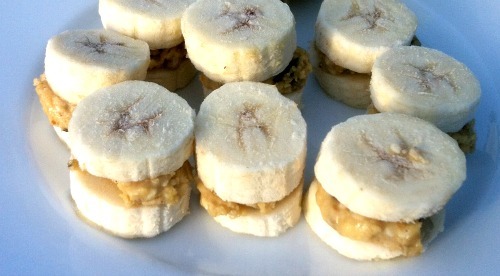 On sliced banana… This is a great snack. Really quick and easy and tastes great, plus you’re getting in one of your 5-a-day without even trying! The nut butter adds some protein to the snack, keeping you feeling fuller for much longer than a banana on its own. 2. On homemade brown bread… Nothing nicer to spread on freshly baked home made brown bread straight out of the oven. Try it with our Vanilla & Barberry Almond butter. 3. With yoghurt… Natural yoghurt by itself is boring. But flavoured yoghurts are full of sugar. Stirring in some almond butter makes yoghurt yum, plus you’re adding protein too. 4. On sliced apple… For some reason, slicing an apple just makes it far more satisfying as a snack. And its even better with some almond butter on top. Great for elevenses. Used our Crunchy Nut & Seed butter here… a blend of almond, hazelnut and cashew butter with a bunch of nuts and seeds mixed in. 5. Frozen, in between banana slices… This is one of my favourites. Simply slice banana, put some almond butter in between and pop it in the freezer. 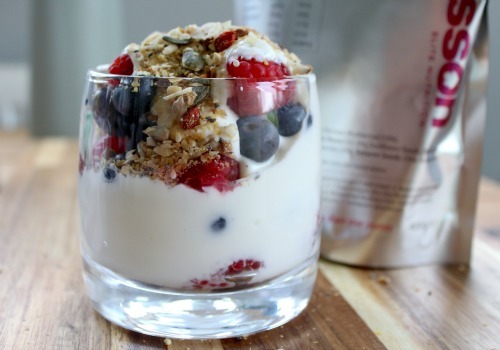 Transforms almost magically into an decadent ice-cream like healthy treat! 6. 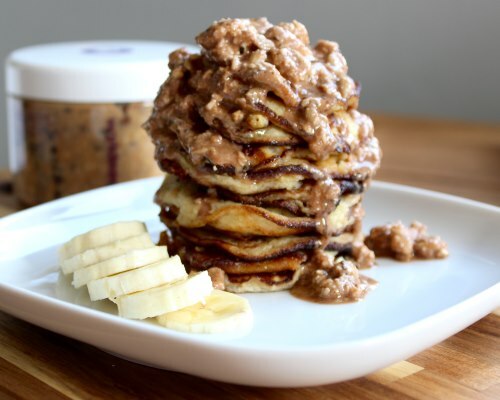 With pancakes… Used our Belgian Chocolate, Nut & Seed butter for this one… a blend of almond, hazelnut and cashew butter with a bunch of nuts, seeds and little bits of Belgian Chocolate mixed in. 7. 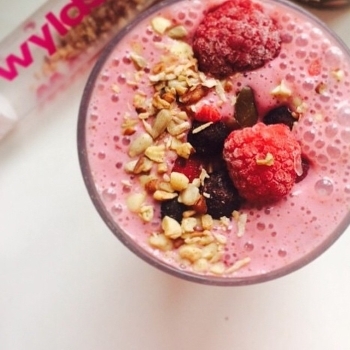 In a smoothie… Blend almond butter into a smoothie to transform it into a “recovery” drink. 8. 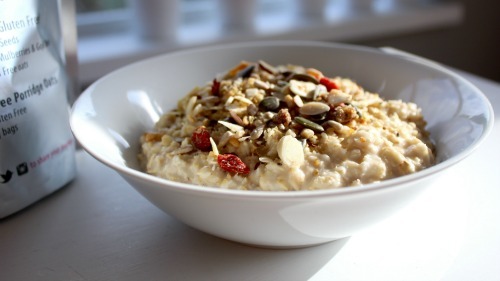 Stirred into a bowl of porridge… Porridge on its own is boring. But not only that, it’s a lot of carbs. 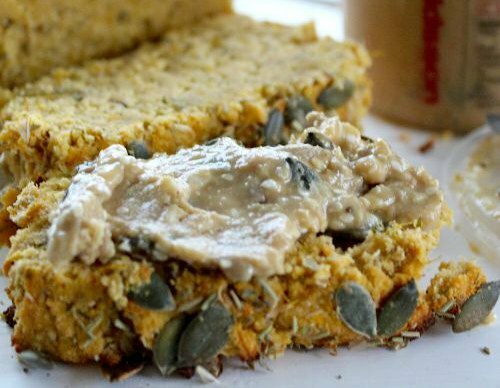 A dollop of almond butter adds taste as well as protein. PS: Check out our full range of nut butters in our webstore!